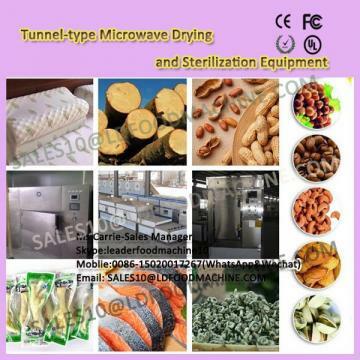 Tunnel-type Tenebrio Microwave Drying and Sterilization Equipment is a newly emerging food sterilization equipment in recent years. The use of microwave to sterilize food can effectively prolong the shelf life of food. Microwave has dual bactericidal effects of thermal and non thermal effects. Under the action of bacteria, the spatial structure of bacteria changes or destroys. Protein denaturation affects its solubility, viscosity, expansibility and stability, thereby losing biological activity, causing bacterial growth inhibition, stop or death. Tunnel-type Tenebrio Microwave Drying and Sterilization Equipment has the advantages of short time, fast speed, low temperature sterilization, drug composition, energy saving, microwave sterilizing equipment, sterilization, even and thorough, easy to automate production, advanced technology, and save floor area. The characteristic of Tunnel-type Tenebrio Microwave Drying and Sterilization Equipment is that microwave drying technology transforms electromagnetic energy into kinetic energy of material molecules instantaneously, that is to say, the absorption of microwave energy by material itself generates heat and makes the water evaporated. Because microwave heating has a certain penetration, so microwave heating is actually a three-dimensional heating, that is, the product is heated inside and outside, so Tunnel-type Tenebrio Microwave Drying and Sterilization Equipment has the following characteristics: energy saving, fast drying, low drying temperature, instant heating, no thermal inertia. We value "honesty, innovative and quality" because we know that we are not only supplying equipment Tunnel-type Tenebrio Microwave Drying and Sterilization Equipment to our clients but the partners to help our clients to get a better result. Keeping this in our mind, we not only make high quality food processing equipment Tunnel-type Microwave Drying and Sterilization Equipment, but also help the clients to figure out the optimum processing work flows, make amendments according to client's specific needs, training staffs for the user of our equipment and even more, because Shandong Microwave Machinery Co.,Ltd.C believe that our users or clients' success is the foundation of ours. 6). 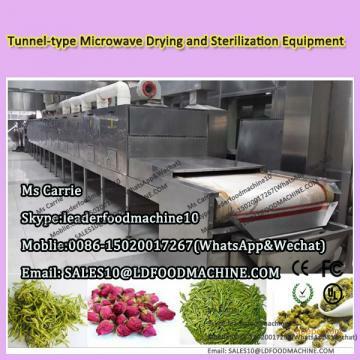 1 year complete warranty for Tunnel-type Tenebrio Microwave Drying and Sterilization Equipment .